The Portland Japanese Garden will be the only U.S. venue to host work by 18th/19th-century uikyo-e artist Katsushika Hokusai, a traveling exhibition that features the artist generally regarded as the originator of today's manga comics. His world renowned woodblock prints will be on display Dec. 1-Jan. 13 in "Manga Hokusai Manga: Approaching the Master's Compendium from the Perspective of Contemporary Comics" in the Pavilion and Tanabe galleries at the garden, 611 S.W. Kingston Ave.
Hokusai was recognized worldwide for his iconic woodblock print "The Great Wave." Although manga shows a diversity of subject matter, grimaces and acrobatic activities give the impression that the art form applies to cartoons or funny pictures, but it's not the case. Visitors to the exhibit are encouraged to ponder the pictorial compendium as the origin of manga. The Christmas tree set to be displayed on the west lawn of the U.S. Capitol is coming from the Willamette National Forest. Nonprofit partners Choose Outdoors and Travel Oregon will bring the gift from Oregon to Washington, D.C. The route to the Capitol involves 25 communities along the way. It'll appear in Oregon City at 5 p.m. Tuesday, Nov. 13, at the End of the Oregon Trail Interpretive Center, 1726 Washington St. The theme for the U.S. Capitol Christmas Tree is "Find Your Trail!," commemorating the 50th anniversary of the National Trails System Act and the 175th anniversary of the Oregon Trail. The tree will travel 3,000 miles eastward to Washington, D.C., the reverse path of the Oregon Trail and will be lit in early December. Wahl Grooming has named Robert Rouse as its Wahl Man of Portland, and he'll be eligible to be named Wahl Man of the Year. He's the unofficial facial hair champion of the city, "but his fuzzy mug is capable of ruling the country," a news release states. He was found through the Most Facial Hair Friendly Cities in America search and he "made the cut." He'll be among 11 style-defining delegates competing for the national title, $1,500 and beard bragging rights. Voting takes place on Wahl Grooming's Facebook page, and it ends Dec. 1. Two of the Oregon Zoo's Amur tigers died recently. Mikhail ("Mik") was humanely euthanized last week, one day shy of his 20th birthday. 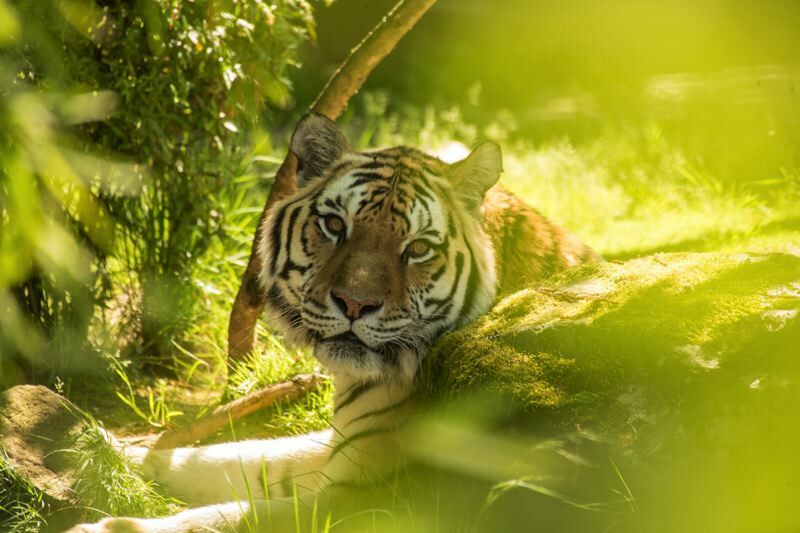 He was the oldest Amur tiger in any zoo accredited by the Association of Zoos and Aquariums and was considered one of the oldest on the planet. Amy Cutting, who oversees the zoo's Amur cat area, says it's a tough loss in the wake of the death of Borris, another cat who died in early October. Wild Amur tigers typically live around 10 to 15 years. McMinnville musical sibling trio We Three had a nice run on "American's Got Talent." Another artist with a Willamette Valley connection remains alive on "The Voice." Natasia GreyCloud, who grew up in Newberg, has been cut twice in competitions, by Jennifer Hudson and Kelly Clarkson, but fellow "Voice" coach Blake Shelton saved her from elimination with a steal on a show last week. "The Voice" airs at 8 p.m. Mondays and Tuesdays on KGW-TV (NBC). Sally Field, an Academy Award- and Emmy Award-winning actress, will appear at Powell's at Cedar Hills Crossing, 3415 S.W. Cedar Hills Blvd. in Beaverton at 7 p.m. Friday, Nov. 16. In her memoir, she writes of her challenging and lonely childhood, the acting craft that helped her find her voice, and a emotional legacy that shaped her journey as a daugther and a mother.